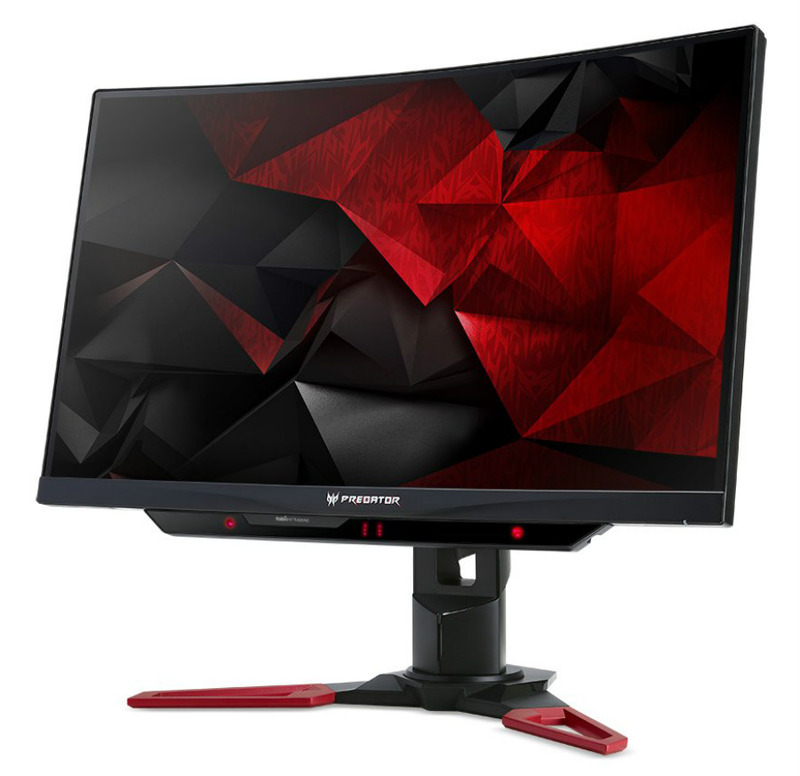 Acer is upping their gaming monitor game with the Acer Predator X271UV which uses a well-loved formula of specs but with valuable additions. The excitement in the gaming communities focus towards the company’s future display king, the Acer Predator X27, but we just can’t ignore this refreshed model since we consider it as the happy medium of the next generation of cutting-edge screens. Everyone has their eyes on 4K at 144Hz and HDR, but a 1440p gaming monitor still isn’t a bad choice for an upgrade. The Acer Predator X271UV adopts the design of its predecessors which utilizes a black exterior with red accents. This new model also features Acer’s ZeroFrame design concept, which eliminates pesky plastic bezels which create the illusion of being borderless. The black borders on the panel will probably be still visible, much to the dismay of bezel-free fans. Some may not like the Predator treatment reused on this upcoming monitor, but it is one of the most flexible designs in the market. You get a full range of adjustments including height, tilt, swivel, and pivot, plus the boomerang stand should provide a stable stature on any flat surface. We hope Acer implemented some improvements in the quality of the stand since there are reports of wobbling or plastic flexing from some users. Everything about the Acer Predator X271UV’s exterior was inherited from its venerable siblings, but on this model, most would notice the boxy gadget sitting underneath the bottom bezel. This device is the Tobii Eye Tracking Sensor, which retails for $140 or more if bought separately. We suspect that it will have a noticeable effect on pricing, so if you think you have no use for it, better look for a cheaper alternative. The Acer Predator’s Tobii Eye Tracking unit comprises of infrared LEDs and an RGB camera to track eye movements and gaze points, which is then translated by your computer as an alternate means to pan the camera or move the screen. The tracking unit is yet to be tested across a wider variety of games, but compatibility is spreading fast. AAA titles like Deus Ex: Mankind Divided is compatible with the gadget, so top publishers will surely enable compatibility in future games. The Acer Predator X271UV flaunts a 27-inch panel with a 2560 x 1440 resolution, 165Hz refresh rate and a native 3ms response time. What makes it unique is the 1800r curvature which promises to enhance your view of the action as much as adding immersive feel. The specs look similar to the Acer XB271HU, and the form factor looks identical to the Z271T. 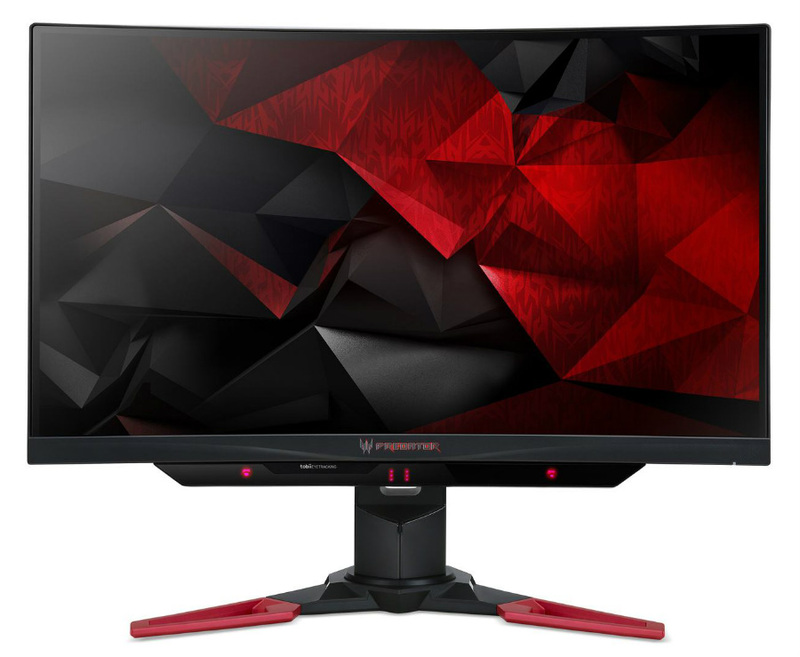 People may think that this is merely a refresh of a top-selling product, but the Acer Predator X271UV promises a few things we would have wanted to see on older gaming monitors. For starters, the company is guaranteeing that this iteration is capable of 125% coverage of the sRGB gamut and 95% DCI-P3 standard. These numbers are impressive for a gaming monitor, and once released and perfectly implemented, we have a unit which can bridge the gap between gaming and professional monitors. We’re wondering how Acer will pull this off considering most of the speculations point towards the idea that the Acer Predator X271UV utilizes a TN panel. This type is known to be limited in vibrancy and saturation levels, but there must be something we have missed at one point. Another strange fact about this model is it has a native pixel response time of 3ms, which can then be overclocked to 1ms. 3ms TN panels are a thing of the past, and we all know what too much overdrive does to image quality (introduces advanced or reverse ghosting). 165Hz is still plenty to play with, so gaming will still mostly be smooth and blur-free. Graphics at 1440p is a huge improvement over the standard FHD, and even some of the best graphics cards out there struggle in this category. The Acer X271UV will include G-Sync, so most of your enjoyment will, of course, be stutter and tear-free with the help of a Nvidia Graphics card. For the competitive shooters who would rather have strobing as a possible solution to motion blur, Nvidia’s ULMB tech is still included in the Acer Predator X271UV. This product will ship with all of the company’s premium features such as their GameView software, True Harmony technology for the upgraded speakers, plus a guaranteed flicker free operation which makes extended safe for your eyes. Just like the X27, nobody has an exact date or a suggested retail price for the Acer Predator X271UV. But the flat screen version of this model, the Acer Predator XB271HUT, is scheduled for release on May 29, 2017, in Europe, and you can pre-order it here. If we follow Acer’s time frame of announcing and releasing its other products, we might see this variant anywhere from four to six months at the time of this writing (approximately September or November 2017). Some might say that the Predator X271UV doesn’t offer anything new, but we still think will excite a few users. For one, a lot of gamers out there are still enjoying 1080p, and these releases will still offer an upgrade path which won’t cost an arm, a leg, and two kidneys. On the other hand, Asus is releasing a similar monitor, the Asus ROG Swift PG27VQ. These two brands are always at each other’s throats in providing us with excellent products, so in the end, the healthy competition will benefit the consumers.